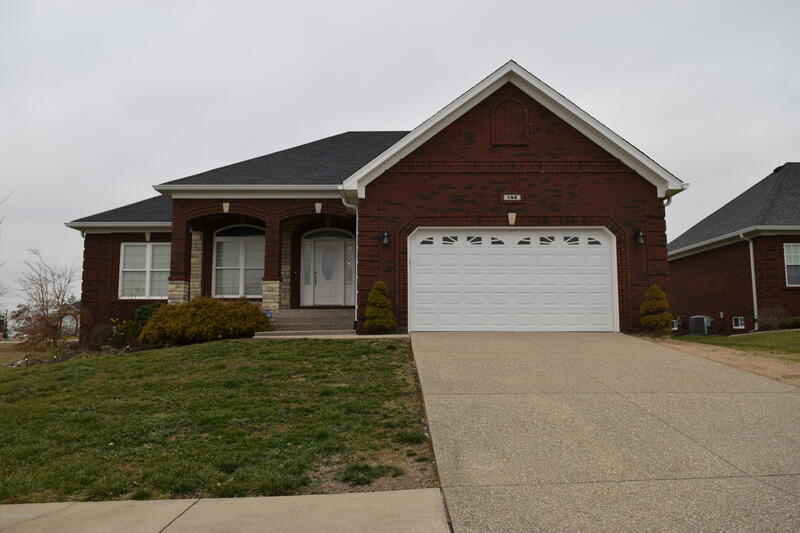 Stunning 6 year old Brick Ranch on corner lot in Cherry Hill Subdivision, located off Hwy 44 in Mt Washington between Eastside Middle School and Pleasant Grove Elementary School.5 bedrooms, 3 full baths, split floor plan with almost 3600 sq ft of finished living space. High ceilings, open floor plan,loads of cabinets, stainless appliances, granite counter tops, Oak hardwood flooring, ceramic tile floors,covered deck, fenced rear yard,extra deep garage, full finished basement with gas fireplace, another dining/bar area, extra storage and a storm shelter. CALL TODAY TO SEE THIS HOME!